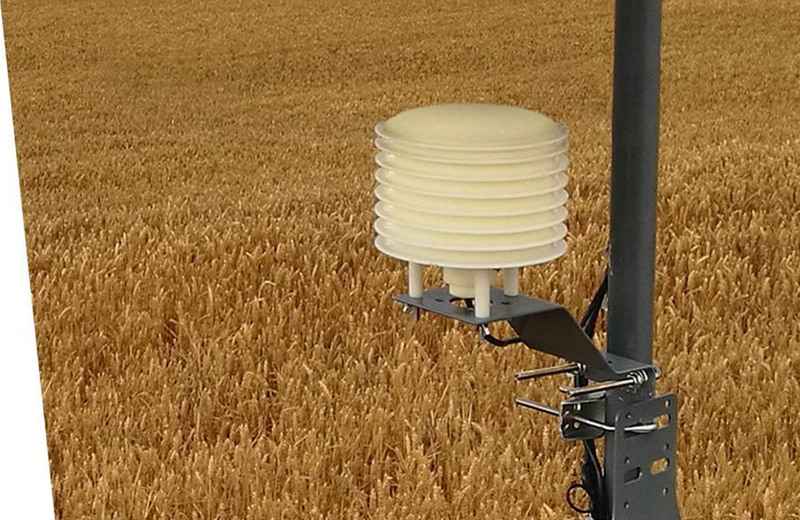 The automatic weather station that gives real-time and past information about rainfall, environmental temperature and humidity, wind direction, average wind speed, wind gusts, solar radiation and evapotranspiration values. Monitors everything that happens in your crop. 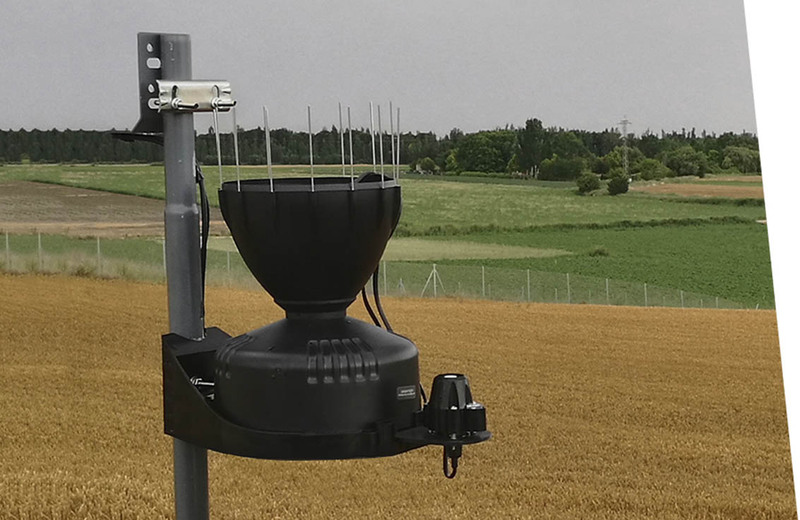 A compact solution for professional weather monitorization. 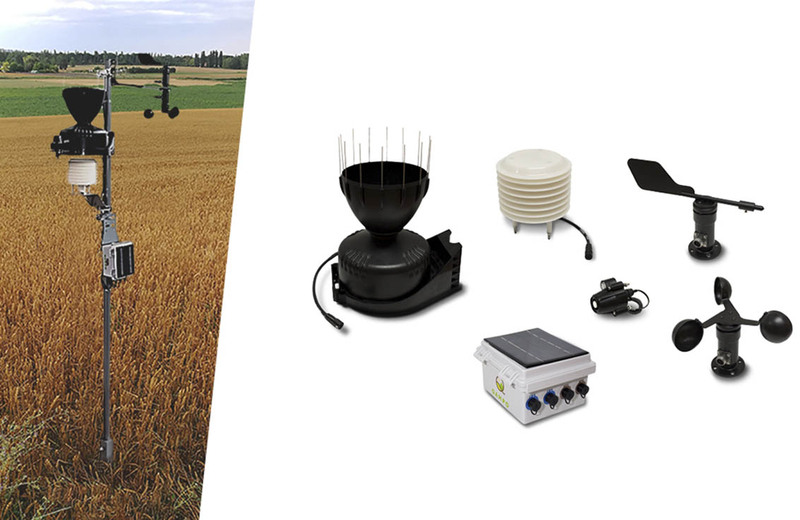 The Qampo weather station includes all sensors, assembly kit and professional wireless data logger. It registers weather information automatically, stores it and sends it wirelessly so that you can see them in real time or via history charts. 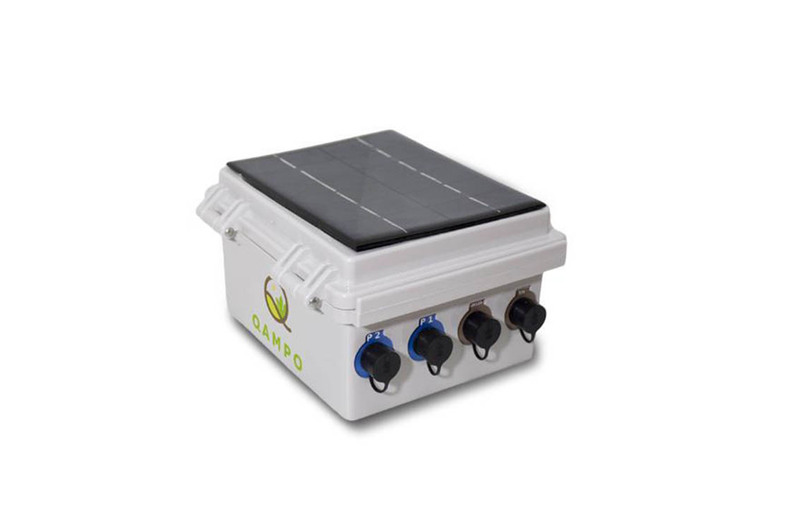 The data logger has an included solar panel that gives power to the whole weather station, this way you won’t have to make any additional installation. The communications are built-in in the data logger, in addition, it includes connectivity packages, so you don’t have to worry about monthly payments and this way, you can have access to all data through the web or mobile device anytime and anywhere. 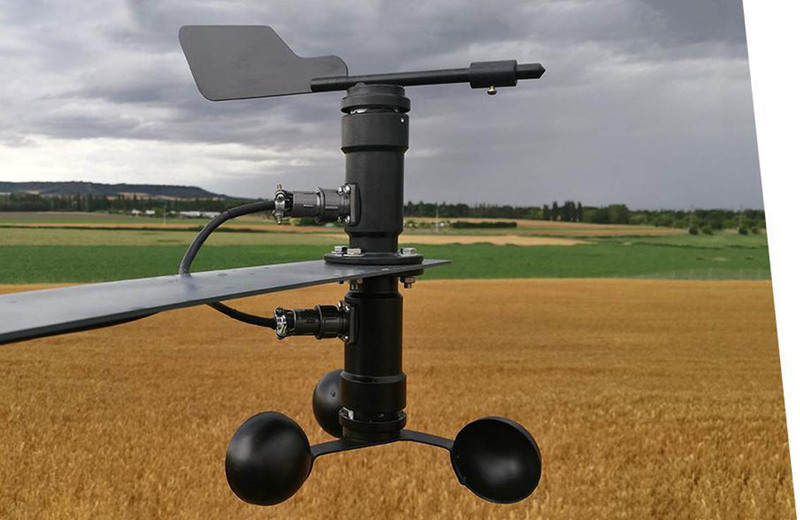 The Qampo Clima weather station allows you to monitor the weather exactly in the spot you are interested in: your plot. Measuring rainfall and automatically keeping a record allows you to know the amount of water given to the crops. Measuring the environmental temperature, humidity, solar radiation and wind speed, provide very valuable information allowing you to calculate the exact amount of water that has been lost by evapotranspiration. All this information is collected and stored automatically and can be seen and compared with the past years’ information quickly from the web or mobile device. You won’t have to do any calculation. The application already does everything you need and provides the information you are interested in knowing. The communications are built-in in the data logger, in addition, it includes connectivity packages so you don’t have to worry about monthly payments and this way, you can have access to all data through the web or mobile device anytime and anywhere. Get to know the wind speed and direction accurately at any time. Measure the gusts of wind and view them in a simple way from anywhere, in real time or with past information. Did you know that the wind has a direct effect on some plant diseases? The wind is able to transport plagues if given the right conditions. With Qampo you can program an alert to know if these conditions are taking place and thus performing the necessary treatments before it is too late. The number of light hours and the intensity of the solar radiation are key factors when producing a harvest. The amount of light a plant gets depend on the number of leaves exposed to the sunlight. Depending on the amount of light intercepted you can get variations in quality, quantity and smell or sweetness in the fruits. 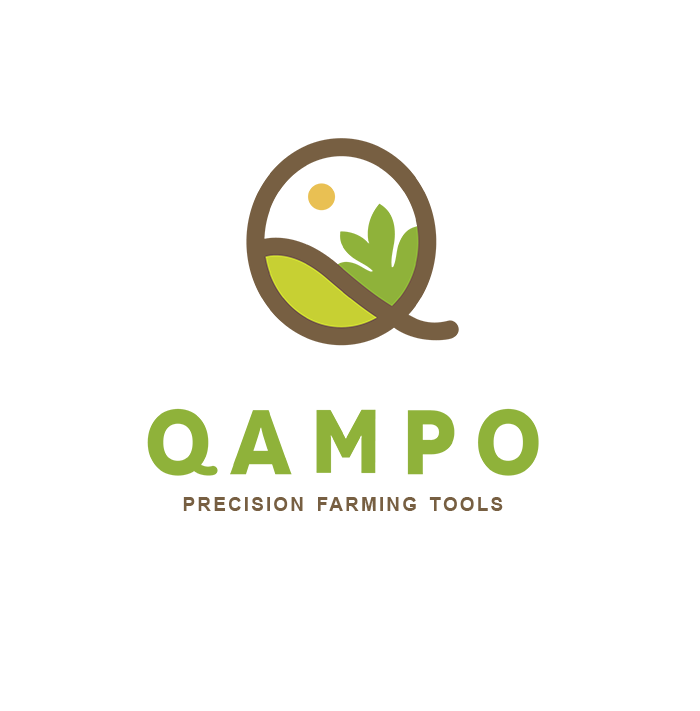 Each plant and variety has its particular needs. Knowing the solar radiation characteristics we have, allows us to know what varieties would work better in one area or the other. Registers and stores rain data automatically, and you can access this information from anywhere and anytime. You will be able to see the amount of rain fallen in a certain period of time and compare it with the same period of past years. You will be able to view the liters per square meter fallen in the exact spot you are interested in measuring in daily, weekly or monthly charts, wirelessly and automatically. It automatically measures and keeps a record of the environmental temperature and humidity. You can access the graphics of past data in a simple way from the web or mobile device. You can also set alarms to notify via email or text message if the temperature surpasses a defined limit, this way you can prevent any frost risk. The number of hours a crop spends below a certain temperature (cold hours) is a very important parameter and has a direct impact on the blooming period, the same with the heat hours. It monitors and keeps a record of cold or hot hours and can set all kinds of notifications according to this information. Your devices work as one. Qbic 4C with built-in communications and solar panel included. The device registers automatically all the data coming from the sensors and sends it wirelessly so they can be seen in real time or in a history chart. You can access this information via web or from a mobile device anytime and from anywhere. 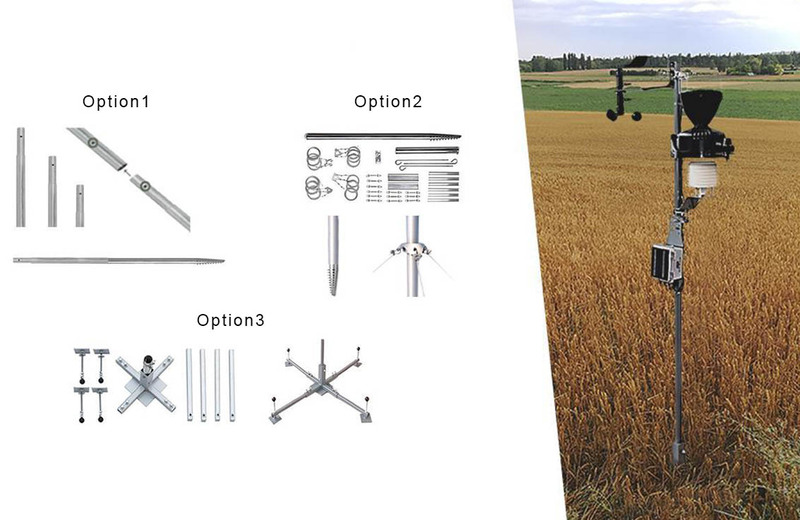 The assembly kit allows installing the weather monitoring station under any circumstance. Whether it is nailed to the ground or supported by a tripod or a special rigid ground stick, (rooftops, construction site, etc). The kit is perfectly portable and easy enough to be assembled by one person. The weather station Qampo allows you to monitor the weather information in our plot, you can view the information in real time or by history charts and you can set alarms through email or mobile device. All this information allows you to calculate in a very precise way the evapotranspiration values and view it the same way, in real-time or history charts. 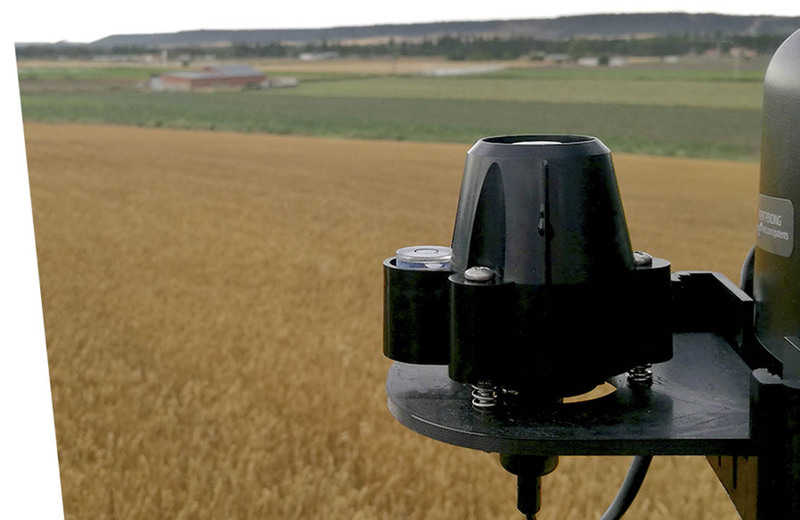 With the evapotranspiration data, the plot’s weather and thanks to Qampo Cloud you will be able to know the hydrological needs of your crops. Having a speed and direction of the wind and temperature and humidity record allows us to act ahead in relation to certain fungi that could attack certain harvests, such as grapevine (mildiu, botrytis). All these advantages from 0€/month.